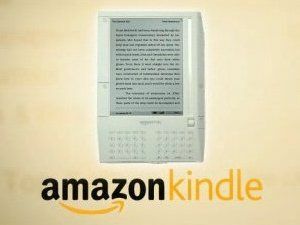 Amazon has spoken to its consumers over the decision to delete copies of George Orwell's 1984 from the Kindle on its forum. Buyers of the book were confused when they woke up to find the book deleted by Amazon after it was found to have been distributed illegally by the publishers. "This is an apology for the way we previously handled illegally sold copies of 1984 and other novels on Kindle. Our "solution" to the problem was stupid, thoughtless, and painfully out of line with our principles. "It is wholly self-inflicted, and we deserve the criticism we've received. We will use the scar tissue from this painful mistake to help make better decisions going forward, ones that match our mission. "With deep apology to our customers, Jeff Bezos." We in the UK are obviously unaffected by this, as we haven't even got our hands on a version in this country. However, with the launch apparently imminent, it's good to see that some CEOs feel the need to interact with customers when they feel the company has made a mistake.